My daughter loves to play in a tent as a preted house with her friends. 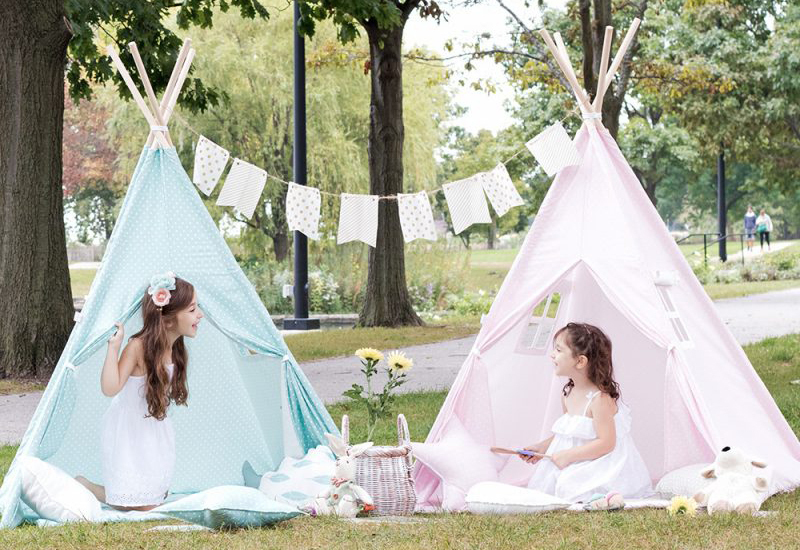 That's why I am very much excited when I learn that there's a cute Teepee set that I could buy for her from Teepee Joy. I'm very sure my daughter would be thrilled to have one. Moms and dads great news! 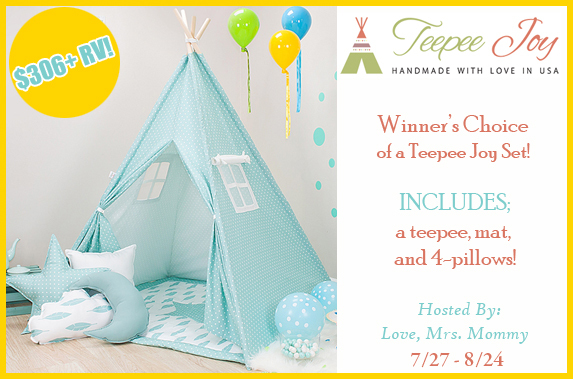 Our generous sponsor is giving away pre-designed teepee joy set to a lucky winner in his/her choice of design. Yay! Awesome right? So what are you waiting for? JOIN NOW!